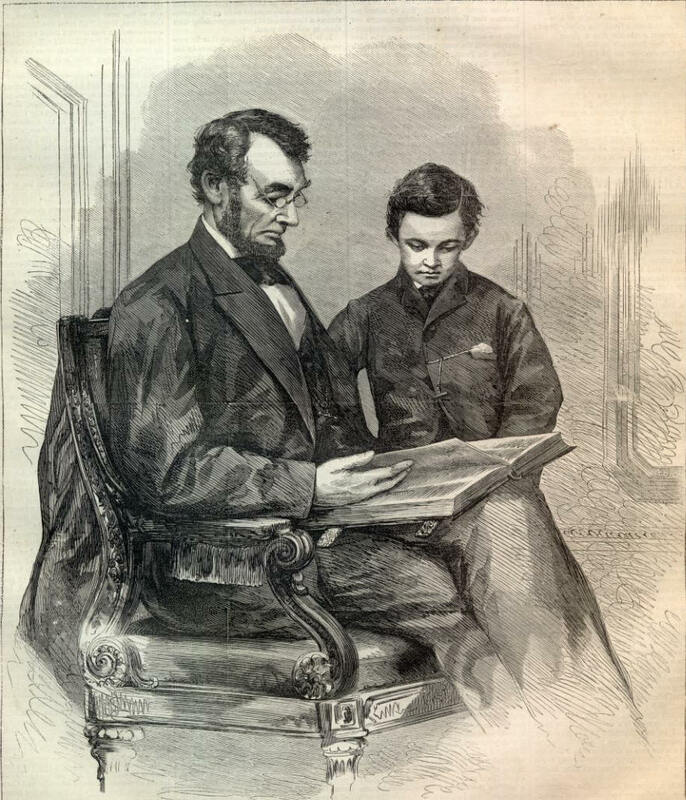 The May 6, 1865 Edition of Harper's Weekly includes a touching portrait of President Abraham Lincoln, and his son Tad. This issue was published shortly after President Lincoln's Assassination, and includes incredible historical content on Lincoln, the Assassination, Reconstruction, Lincoln's funeral, and news of a mourning nation. NEW YORK, SATURDAY, MAY 6, 1865. [SINGLE COPIES TEN CENTS. $4.00 PER YEAR IN ADVANCE. Entered according to Act of Congress, in the Year 1865, by Harper & Brothers, in the Clerk's Office of the District Court for the Southern District of New York.